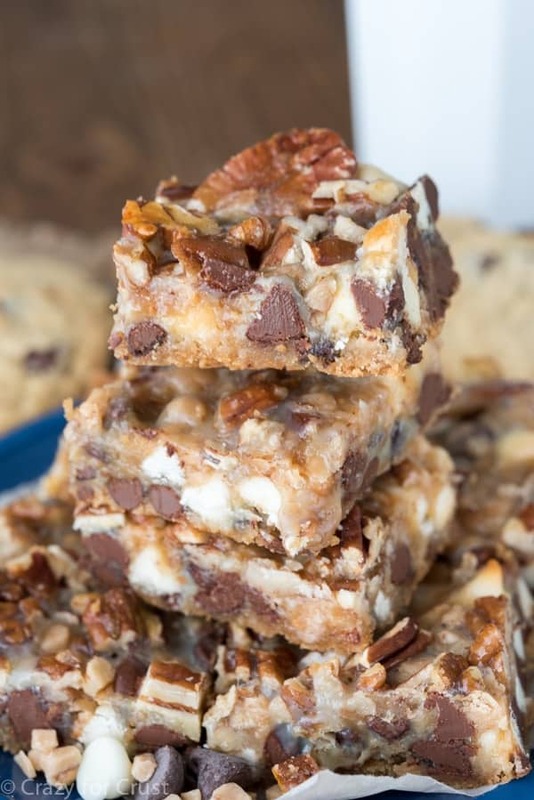 Magic Crumble Bars are an easy recipe with a crumbly crunchy oat crust and topping and are filled with chocolate and butterscotch like a magic bar! 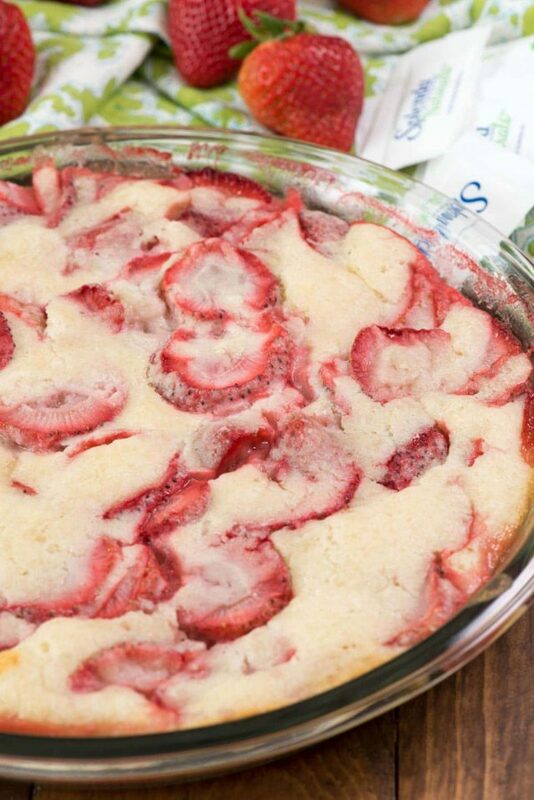 Made with SPLENDA® Naturals Sugar & Stevia Blend, they’re lower in added sugar too! Abby Rose update: after being with us 2 weeks she’s getting more comfortable. How can I tell? Girlfriend goes nuts on the regular. Right now, as I’m writing this, it’s 7am. I’m barely awake and she’s running circles around my office chewing on everything in site. Just a few minutes ago she ran to her food bowl and I heard it crash, so there is probably kibble all over the floor, I just don’t have the energy to go see because she woke me up at 5:45am this morning. Did I mention that she’s also trying out for American Ninja Warrior? She loves me so much that if I leave the room she learned how to scale her x-pen, which is 30″ high. She also learned that if she runs fast enough she can bust through the cardboard we have blocking the kitchen entrance if I leave to go upstairs. People warned me about puppy energy but I was all Oh I know, they’re young! They like to chew! I just looked down and she’s chewing on my office chair legs. I admit I didn’t know anything about puppies. I’m learning as I go. I just have to say it’s a good thing she’s cute and still has puppy breath. Needless to say, my work rhythm has been a bit off lately. I need recipes that are fast and easy to make during short bouts of nap time. These easy Chocolate Magic Crumble Bars fit the bill; the crust and topping come together in mere minutes and the filling is just sprinkled in before baking. If you’re looking for an easy treat for dessert, these are for you. Bonus: chocolate and butterscotch and crunchy oats. They taste amazing! I call these “Magic” because they reminded me of magic bars. You know, the bars that have a crust and tons of chocolate chips, nuts, etc, and are baked with sweetened condensed milk. 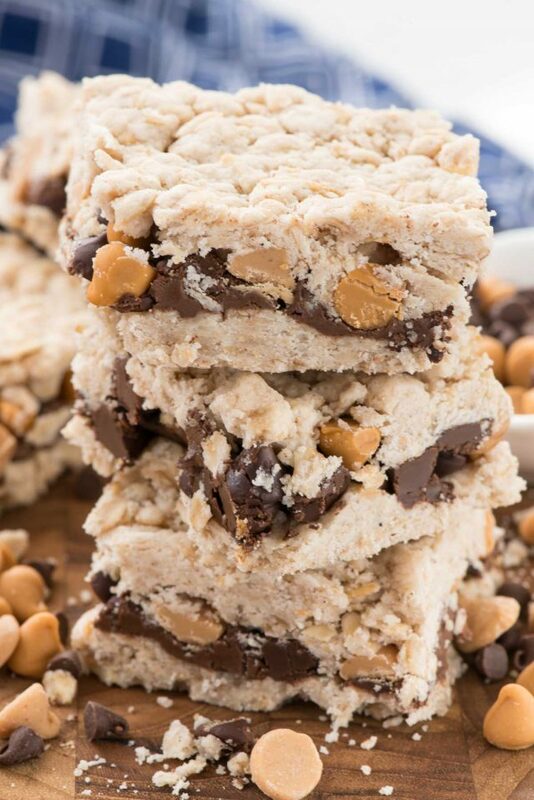 These have a similar flavor profile, and the center can be whatever you want it to be, just like an old fashioned seven layer bar. The difference? 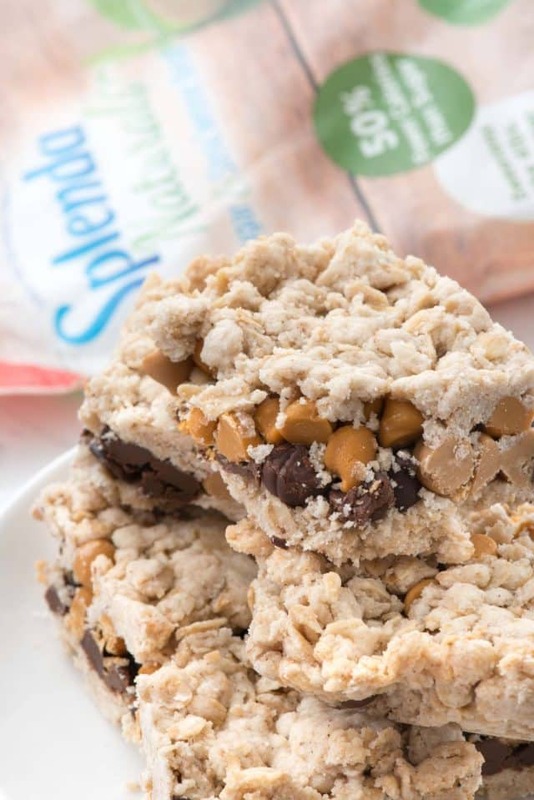 These have a oatmeal crumble crust on top as well as on the bottom and they are made with SPLENDA® Naturals Sugar & Stevia Blend, which looks and acts like sugar but with only half the calories. The crumble part of these bars is an easy recipe made with oats, flour, and butter. It’s just a nice crumbly texture that gets crispy and crunchy during baking. For the filling, the sky is the limit. I used chocolate and butterscotch and peanut butter chips, but you can add nuts or coconut for a more traditional magic bar flavor. Or, use jam or candy or anything you like; I’m all about diversifying recipes so that one recipe makes 10 more. Chocolate Magic Crumble Bars are an easy way to make a magic bar with any filling you like and a crunchy crumble topping. The crust and crumble are one in the same recipe making this a one bowl dessert that’s so easy to make. The filling can be whatever you want it to be: chocolate or white chocolate chips, peanut butter and/or butterscotch chips, chopped candy, nuts, coconut, jam…use what you like. 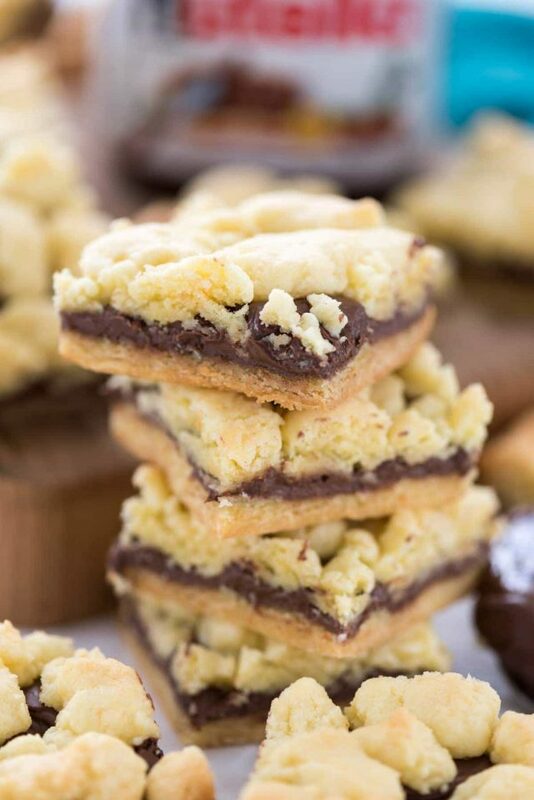 Because the crumble gets nice and crunchy the end result is an sweet and crunchy bar cookie that is very crumbly! Magic Crumble Bars have a crumbly oat crust and topping and are sandwiched with magic bar ingredients: chocolate and butterscotch! Preheat oven to 350°F. Line a 9x9” pan with foil and spray with nonstick cooking spray. Stir together oats, flour, cinnamon, butter, salt, vanilla, and SPLENDA. Mixture will be thick and crumbly. Press half the mixture into the bottom of the prepared pan. Sprinkle the chocolate chips, peanut butter chips, and butterscotch chips over the top of the crust. Pour the rest of the crumble mixture over the top of the chips and evenly spread and press to coat. Bake for 20-25 minutes or until the edges are golden brown. Cool completely before removing from pan and slicing. These bars are super crumbly but worth every one! Awsome I love this recipe its amazing. Getting ready to make these now! !